As Donald Trump is gradually turning his attention to Africa in his administration foreign policy as contained in his campaign promises in 2016 before the American presidential election which he later won where he promised to give a serious attention to Africa even if it warrants re-colonialism of Africa and our expectations that his second year in office will put Africa in budget, it is important for me to bring to the attention of Mr Donald Trump that if there is anything that is posing serious security threats to the world at large or Africa in particular in the nearest future, it is the continuous existence of Nigeria as a country. The Nigerian government is a serious threat to the world peace and security because it is building up and spreading terrorism around Africa and beyond through the instrumentality of Boko Haram and Fulani Herdsmen terrorists respectively. I thereby call on Mr Donald Trump to come into Africa without further delay or consider those dark ages international laws and protocols governing internal affairs and sovereignty of nations which is the hideout of the Nigerian government in planning evils against the world with terrorism. Mr Donald Trump should dissolve Nigeria and set free her captives which are, the people of Biafra, Oduduwa and Arewa indigenous people. 1. The recent call of Miyetti Allah Cattle breeders of Nigeria to their network terrorist association in West Africa and beyond to gather in Nigeria for a jihad war against mostly Christian Indigenous people of territories of Nigeria. 2. Recent obnoxious release from detention in Maiduguri prison 244 hardened Boko Haram terrorists by the Nigerian government instead of prosecuting them for terrorism. 1. FULANI HERDSMEN TERRORISTS SAGA: It could be recalled that the Nigerian government has continued to remain complicit in the killings of hundreds or thousands of people including foreigners doing road construction work in the trouble areas by Fulani herdsmen terrorists in many States of Nigeria such as Benue, Kaduna, Taraba, Plateau, Adamawa, etc all in Nigeria and Biafran territories. Fulani herdsmen terrorists have also butchered thousands of Biafrans in many States in Biafra land such as Enugu, Abia, Cross River, Delta, Anambra, etc. The Nigerian government has never arrested or prosecuted any Fulani terrorist anywhere in Nigeria instead the Nigerian government armed them with AK47 riffles belonging to the Nigerian Army to continue killings of peaceful and defenseless citizens of Nigeria. In most occasions, the Nigerian soldiers would be deployed to troubled areas to protect the Fulani terrorists from reprisal attack of the remnants of the massacred populace. The Fulani herdsmen terrorists kill right there before the Nigerian soldiers and the soldiers will in turn begin to arrest the remnants of the massacred populace. Recently, the dreaded Fulani herdsmen terrorists massacred hundreds of people in Guma and Logo Local government Areas of Benue State in the Middle Belt axis of Nigeria and went ahead to claim responsibility for the killings with no law enforcement agencies of Nigeria including the Police arresting them. There is the needed urgency for Donald Trump to wade in and dissolve Nigeria to save humanity. 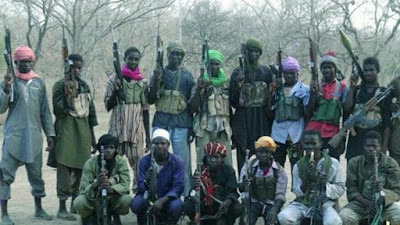 This is based on the fact that the notorious leader of the Miyetti Allah Cattle breeders Association of Nigeria (umbrella name of the Fulani herdsmen terrorists) was calling on their terrorist network all over West Africa to gather in Nigeria especially in Benue State to consolidate their genocide on the indigenous Tiv tribe of Benue State of Nigeria. The notorious terrorist leader of Fulani herdsmen terrorists in Benue Nigeria whose name is Gulolo Bosso was interviewed by journalists as he was talking tough that the massacre of the indigenous people of Benue will continue with more dreaded attacks expected in the next few days ahead. In all these, the Nigerian government refused to arrest Gulolo Bosso, the Fulani herdsmen leader. In fact, to make it worse, the Nigerian Minister of Information, Alhaji Lai Mohammed and Inspector General of Police, Mr Ibrahim Idris Kpotun were separately defending the notorious Fulani herdsmen terrorists by saying that they were not responsible for the attacks whereas the defiant Fulani herdsmen terrorists were claiming responsibility of the attacks and killings at the other end. As the leader of the Fulani herdsmen terrorists, Gulolo Bosso with open verbal support of His Eminence Alhaji Abubakar Sa'ad III (Sultan of Sokoto) and HRH Alhaji Muhammadu Sanusi II (Emir of Kano) was openly calling on the terrorists he has bred all over West Africa to invade the people of Benue in Nigeria but the Nigerian government security agencies unable to arrest him, can't any reasonable person see this drama from the angle that the Nigerian government has a hand in equipping these terrorists to attack the world? Keep the answer to your conscience but my plea is that Donald Trump should arrest this inherent danger before Nigeria becomes another Iran and North Korea for America to contend with. 2. 244 BOKO HARAM DETAINEES RELEASE SAGA: the Nigerian government is found culpable in breeding terrorism and spreading same around Africa as the Nigerian government continues to release Boko Haram hardened terrorists captured by the Nigerian Army during exchange of gun fire from Maiduguri Prison from time to time instead of prosecuting them for threatening the lives of the Nigerian populace through terrorism. If Donald Trump allows Nigeria to continue to exist as a country, let the world remember that today being 18/1/2018, Mazi Onyebuchi Eze of Family Writers Press prophesied that Nigeria will soon take the whole world by surprise with the rate at which terrorism is spreading in Nigeria up on daily basis. But I have confidence that Mr Donald Trump will soon wade into Nigeria and dissolve her and save the world from the scourge of pending doom coming as a result of terrorism being bred by the Nigerian government. How can the Nigerian government be pampering terrorism and one tells me that the Nigerian government is not culpable in the activities of terrorism in Africa? 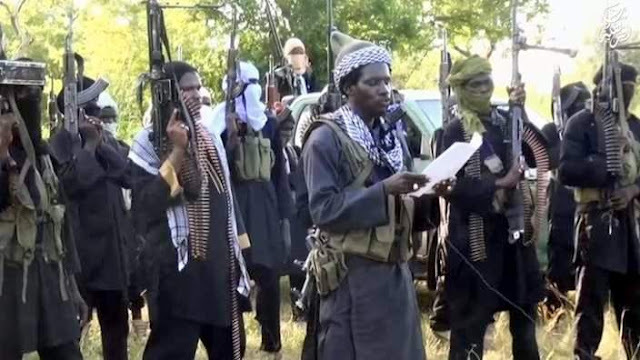 The news of the release of the 244 Boko Haram terrorists is captured in many Nigerian Newspapers such as Premium Times, Vanguard Newspaper, Sun Newspaper and many others. In the view of the foregoing, I hereby make a clarion call to Donald Trump to quickly initiate a plan for the total dissolution of Nigeria so that the world can be safe. The world can never be at peace if Donald Trump and world leaders fail to arrest the menace of the Nigerian government in breeding terrorism on time by dissolving Nigeria as Yugoslavia was dissolved. Nigeria is a threat to the world at the moment and Donald Trump need not to waste any resources in the dissolution of Nigeria. He only needs to make broadcast that Biafra territories have become sovereign since Nigeria refused to grant them referendum and at same time recognize the sovereignty of Biafra by standing behind Biafra sovereignty. By doing this, Nigeria will just die a natural death. With the declaration of independence for Biafra territories, Nigeria will disintegrate up to five sovereign nations because no part of Nigeria is still interested in the contraption called Nigeria except the few political elites from all the regions and tribes of Nigeria including the politicians of Biafra territories. Let Donald Trump make history as he is stepping into his second year in office by dissolving Nigeria to save the helpless people of Biafra, Oduduwa and Arewa, after all Nigeria is a liability to United States of America due to America yearly foreign aid fund which Nigeria government is using to breed terrorism. Let all the world leaders support Donald Trump to dissolve Nigeria or the western world should be ready to regret the surprise which Nigeria will spring out soonest via global terrorism. A word is enough for the wise!